Just like your applications process, a key thing to remember about the scholarship process is to stay organized. When you find a scholarship that you feel competitive for mark its due date on your wall calendar. Create a folder for it and aim to have it complete a week before its official due date. When you get your financial aid package from your school of choice, don’t start crying. Think of it as an opening bid in a negotiation. Your financial aid package is at the discretion of a few people who genuinely want to help you attend their institution. Don’t be afraid to contact them and explain your financial situation. In the meantime, let’s look at how you can bring in some cash! There is no shortage of scholarships out there. They range from the incredibly prestigious with hefty gift amounts (the Coca-Cola Scholars Program gives out up to $20,000 for example) to the downright silly. There are scholarships at the local, state and national level. It will take awhile to find ones that are worth your time but online research is a great place to start. I recommend College Board’s Scholarship Search (http://apps.collegeboard.com/cbsearch_ss/welcome.jsp) and Fast Web (www.fastweb.com). Both sites offer searchable databases of scholarships which will help match scholarships to your online profile. Consider looking for scholarships based on your gender, race, religion and field of study. Pay attention to see if the scholarship money is awarded directly to the recipients or if it is sent to the school of your choice. Many schools will decrease their financial aid packages proportionally with the amount of outside scholarship you receive. Call your schools and see what their policies are – will they decrease the amount of loans first before they take away some of your grant money? Here is where having a friend in the Application Office can come in handy – get a referral to someone in the Financial Aid department you can call and ask! The Free Application for Federal Student Aid (known as the FAFSA) is a requirement for most schools to process a Financial Aid Application. The application is available after January 1st of each year online (http://www.fafsa.ed.gov/). Your parents may need to estimate their income for the rest of the fiscal year, so give them plenty of notice to gather the information they’ll need to give you the right numbers. You may also need to fill out the CSS Profile (https://profileonline.collegeboard.com/prf/index.jsp). CSS is short for the College Scholarship Service Profile and it is more detailed than the FAFSA. If you are applying to schools for Early Decision you will most likely have to fill out the CSS Profile since the FAFSA is not available until the New Year. In addition to any grant money you can win through scholarships or through Pell Grants (also a great source of extra money to explore), you can expect that part of your financial aid package will involve loans. Subsidized – This type of loan means that the government will pay the interest on it while the student is enrolled. Unsubsidized – For students who don’t qualify for subsidized loans, unsubsidized loans require the student to be responsible for the entire amount of interest. Additional Unsubsidized – These loans are for independent students, as determined by Federal guidelines. Students become eligible if their parents are denied a PLUS loan (for having bad credit, for example). PLUS Loans – These are low-interest loans for the parents of students who qualify based on financial need – repayment is required upon graduation or completion of the loan. Federal Perkins Loans – These loans are for students with extreme financial need. Usually they do not accrue interest for 9 months after graduation and have extremely low interest rates. In addition to grants and loans, your school may offer work-study as part of your financial aid. This involves working a minimum numbers of hours a week on-campus tax-free. Many of the items you’ll need for scholarships you will already be obtaining anyway for your college applications. These can include transcripts, resumes, and personal statements. Make sure you have plenty of copies at your disposal so that you won’t run out and have to scramble to meet deadlines. You may also be required to submit your parents’ tax return for the previous fiscal year, so ask them to make copies of that for you as well. While the application process will be over for you in January, applying for financial aid is an on-going process that will take you well into the spring. Try not to get discouraged if you apply for 50 scholarships and only get a few. Stay positive and motivated and keep putting that extra effort into your applications. Remember – free money is out there with your name on it! You just have to go and get it. So you’ve got your list of “safety,” “match” and “reach” schools and you’ve done your homework on each program and campus, now what? To effectively handle the entire process of filling out applications, there are a few things you’ll need to keep in mind. It may sound obvious, but even the most organized student can get overwhelmed by the amount of papers flying about so you’ll have to work extra hard to stay on top of all of the deadlines. I recommend going to Office Max or Staples and purchasing a dry-erase school-year calendar. Put it on your bedroom wall and immediately fill in all of the application due dates. Let’s say you are applying to 8 schools. 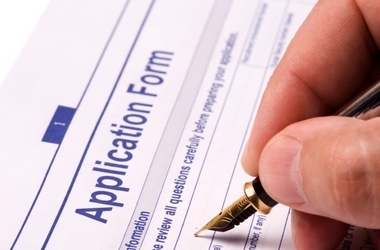 Don’t expect to fill out each application a week before they’re due. Give yourself at least a week to complete each one. That means for 8 apps, you should be getting starting with the applications a minimum of two months before the due dates. This will give you plenty of time to get your supplemental information (transcripts, letters of recommendation, resumes, etc.) in order. You don’t want to rush yourself. For the physical applications, create a file folder labeled with each school’s name and keep them together in a file box. Many students also make a checklist for each of the application’s components and attach them to the front of each application with a paperclip. As you add a transcript or a personal essay to each application, check it off and note what else needs to be completed. Give yourself a person due date for each application. Aim to have each fully completed one-two weeks before the actual due date. This is will give you plenty of time to re-read each piece of information for errors before you submit the final application. Photocopy the entire application before you mail it and when you go to the post office, make sure to send it by certified mail so you can get confirmation that it was delivered. I applied to 13 schools as an undergrad and somehow managed to keep all of the applications organized – if I can do it, so can you! Many students feel shy or embarrassed about asking for letters of recommendation but it’s important to remember that your teachers are there to help and support your dreams. If anything, they should feel flattered that you’re asking! Check to see what the requirements are for the letters of rec. Usually teachers are preferred but sometimes counselors, community leaders or family friends are acceptable. Obviously you want to choose the people who know you best, but there are ways you can help your recommender write the best possible letter. When asking, check to see what information your teacher would like to aid them in writing. If you can, provide them with copies of your resume, personal statement and transcript. Explain to them why you are applying to each specific school and how you’d like to come across to the admissions department. Give them a deadline for the letter but try and give them at least 3-4 weeks to write it – they’ll probably have lots of others to write as well). When they complete it, make sure to give them a thank-you card and keep them posted in the spring on the status of your applications. Keep in mind is that you will be writing more than one statement, so it’s important to keep a folder on your computer desktop with each school’s essay clearly titled. As you print off drafts label them ‘Draft #1’, ‘Draft#2’, etc. You will probably be able to recycle the same 2 or 3 essays to fit each school’s prompt, but it’s important to get started early. You don’t want to wait until the week before and then write something slapdash. The personal statement should be the first thing you start working on when you print your application since it will take much time to draft and revise. The prompts are often incredibly open-ended and generic, so it’s important to be as specific as possible in your writing. Think about the experiences you’ve had in your life, especially those times where you’ve experienced great personal growth. Think about your statement as less of an “essay” and more of a “story.” Read short stories by great writers such as Ernest Hemingway, Katherine Mansfield, and John Cheever. Pay attention to how they draw a reader into an entire world in only a few short pages. Obviously your statement won’t be a work of fiction, but it doesn’t have to be boring! Find something to inspire you – http://www.npr.org has great short news pieces on people’s lives all around the world. Think of your statement as an opportunity to write a report on the significant people in your life. As you work through your applications, don’t be afraid to contact the Admission Department at the various schools. If you met an admission counselor at your school’s open house or at a local info session, ask for their business card and follow up with them. Ask them if there is anything you can add to your application to set yourself apart; keep them posted on your progress through e-mail. Making a friend in the Admissions Office can really help you out in the long run if your application ends up on the waiting list. Don’t be obnoxious, but show your eagerness. Schools want to admit students who want them.